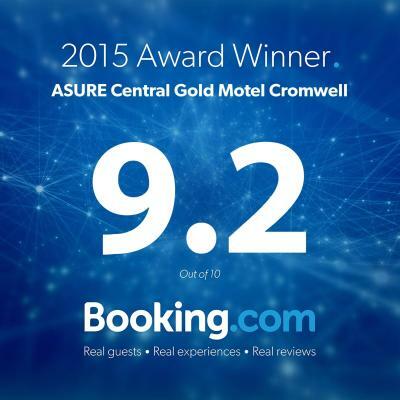 This is the website for ASURE Central Gold Motel Cromwell. It costs less to book on our website. Your Hosts are Gaylene & Craig Barnes. Central Location. Directly opposite the Swimming pool and Astro Turf for the Hockey with the sports grounds only a stones throw away.Warm and cosy. Modern and spacious studio and one bedroom units, Also four Two bedroom family apartments. Tastefully decorated and well fitted out for our guests enjoyment. Air conditioning/heat pumps, heated floors and double glazed for guests comfort. Smart T.V's in all units. The ski season is nearly upon us, Come on down to Cromwell and make us your base for this exciting time of the winter. Cromwell is the heart of beautiful Central Otago and the Southern Lakes regions. Why not book your stay here as we are under 1 Hour away from each of the 4 main Ski Fields in the area, "Coronet Peak, Cardrona, Remarkables and Treble Cone". ASURE Central Gold Motel is one of the newest motels in Cromwell and Central Otago, offering quality 4 star plus motel accommodation at a very affordable price. We have just built and completed Four spacious Family Apartments which are getting very good reviews from our guests. 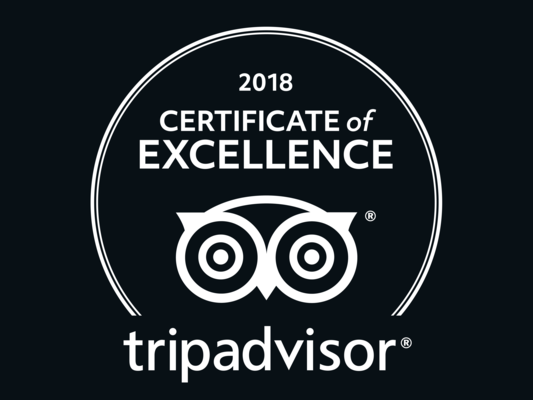 We all work hard to make you welcome and ensure you have an enjoyable stay when you visit our special Central Otago and the Southern Lakes Regions. Make us your base when you explore Cromwell, Alexandra, Clyde, Queenstown and Wanaka. We have an amazing team working with us, Who take pride in there work, Come and have a look for yourselves the cleaning standard is above and beyond any expectations you would expect. CLICK HERE TO CHECK AVAILABILITY, PRICE AND BOOK ON OUR WEBSITE for genuine commission free booking with no transaction fees. Instant confirmation of your reservation. You do not have to pay in advance. You pay when you get here. Deposits may be required at certain times. Less than 48 hours' notice the first night will be charged in full. Any cancellations made on the day of arrival after 2.00 pm will be charged in full. $155 full peak season rates 1-2 persons.Click on the Book Now Best rate tab to see our special off season rates. I have stayed and return to the ASURE most years as I find it excellent accommodation and the best value in Cromwell. An inspection will confirm that the units are comfortable, exceptionally clean and tidy, and excellent value. The owner-operators work hard to ensure that they offer the best accommodation and value in Cromwell. Some units have private outdoor living areas with mountain views. $145 full peak season rates 1-2 persons. But click on the BOOK NOW BEST RATE tab to see our great off season rates. The location, cleanliness of the property and friendliness of the owners made our stay. It exceeded our expectations, which was a bonus. Would highly recommend this motel to friends. Rooms were large and comfy. We had all needed amenities and extra chairs so we could have a glass of wine with them. Laundry facilities are a plus - especially with dryer. We could walk to mall where there were many eateries. Great Motel, lovely friendly owners. Room was fantastic! Very clean and modern. Very impressed with cleanliness and presentation of room. Very nice stay, would recommend. The air conditioning was the biggest boost as Cromwell was extremely hot. Fab bed, lovely hosts, close to everything. Awesome location, across road from swimming pools which kids loved, just round corner from new bmx track for kids. 1 minute walk to town centre and eating places. 2 km from heritage precinct. Lovely friendly host and nothing too much trouble. There wasn't any part of my stay that I didn't like. Guest Questionnaire April 2015 Great location. Very in pressed. Just l;like new. Everything we needed. Trip Advisor July 2014 “Comfortable and convenient stay” We stayed here for 1 night en route from Franz Joesph to Dunedin by bus. It is walking distance from the bus stop so it was very convenient. We had a large spotlessly clean room and a comfortable bed. A grocery store was within easy walking distance. Trip adviser 16 June 2014 "Warm and Cosy" Very welcoming, arrived and the heater was on in the room and the curtains drawn against the cold. Given clear instructions on where to go and get some supplies. Couldn't ask for better hosts and will certainly return.